Whether you're a small business just starting out, or whether you've been running your business for some time and want to improve your online visibility, it can seem like a large hurdle that is difficult to overcome. Building a website in itself can seem daunting, but there's more to a great website than just some great images and some pretty font. So, what should you be focusing on? You don't need extensive coding experience to help people find you online. There are a few simple tricks to help you with your online presence and optimise your site for search engines. Keywords are definitely important. They help you to understand what your online focus is, who you're focusing on, what you're trying to achieve and sets the bar for your rankings. But, what keywords do you use? If you're a shoe store, you might choose keywords like "Nike" or "Adidas", because they're the top brands you sell and you want people to know that you sell them. While this does help to show people what you stock, you're never going to be seen in search rankings. Just think about how many people search for these terms each day/week/month and how many websites are using these terms. They would be high traffic terms with high competition. Your best bet is to focus on keywords that have a medium to high traffic rank, but low competition. There are plenty of websites and online tools to help you discover great keywords that have high search traffic but low to medium competition. In the example of the shoe store, you may instead use a term like "popular sports shoe store" or "sports shoes for running" or even, "shoe stores near me". The best thing to do is research your business, your competition and then look at potential keywords that will help you rank well in search engines. If you have built your website yourself, chances are you have come across a section to input your website title and description. You may put something simple like "My Home Page" or maybe just your business name. The description may have been a slightly daunting process which you ended up writing something along the lines of "We're the best *insert business type* in *town* and we want to help you with *service*". While this is all good and looks nice, it's not giving you the best potential from a search engine's perspective. Your meta description is almost like a sales pitch. Using your keywords in the meta description does help, but think about attracting your potential customers using key terms and a catching spiel to grab their attention. You may have heard it before, but I'll say it again: Content is King. There is no doubt that great, informative and interesting content is key to a great website, increased traffic and better visibility online. Gone are the days where you can just stuff a web page with keywords and hope for the best. Google's algorithms are a hell of a lot smarter now, and you need to provide better, more relevant content to your audience for it to count. Start by taking a look at what is written on your website and look at improving the way it reads and how much information is available. Don't just talk about how you're the best business in your town, though. Think about adding a section on what makes you great, how you're a better business and what services you can offer. If you don't have a blog for your business, get it started. Providing informative blog posts that discuss what you do or even answer some frequently asked questions by your clients is a good start. A blog is a perfect way to increase high-quality content on your website, as well as to help search engines learn more about you. If the content is particularly good, you may find people are willing to share it around on other sites or on social media, which will inevitably help with backlinks and traffic to your site. It doesn't have to be a scary task to get your website optimised for search engines. Even these few little tweaks can help immensely with your rankings and your online visibility. 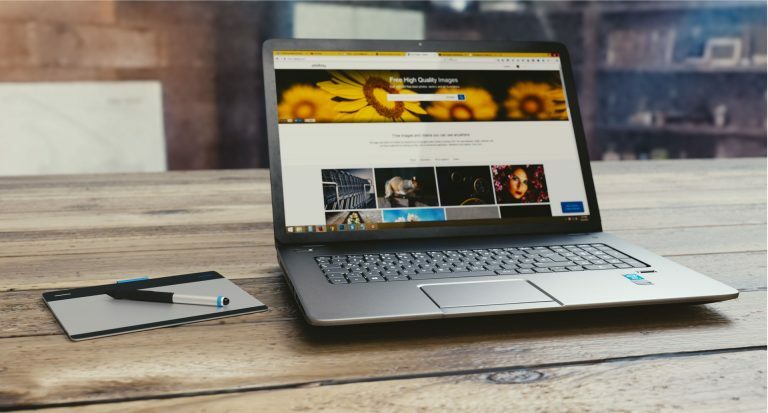 With a bit of research and some great content, you'll be well on your way to increasing traffic to your site and helping people to find your business online. For more help with your website and SEO needs, contact us today!